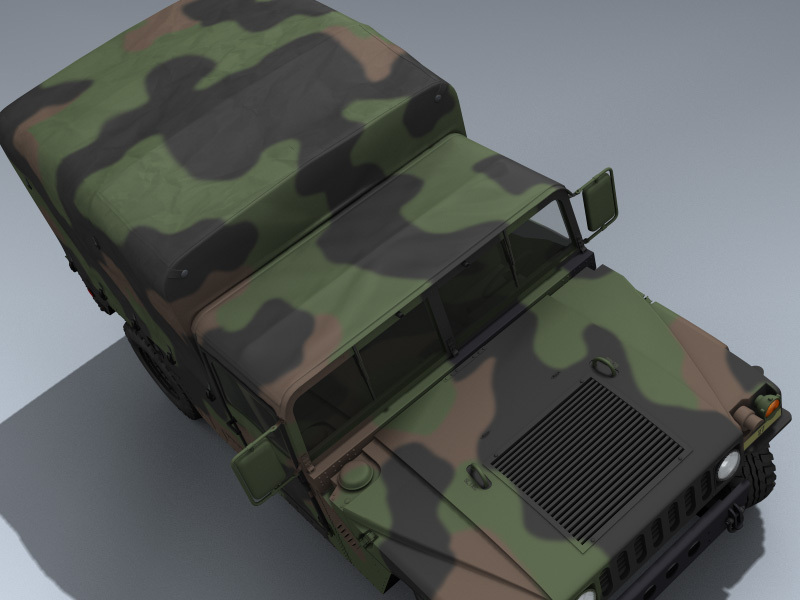 Extremely detailed US Cargo Carrier HMMWV in 3-color NATO camouflage. 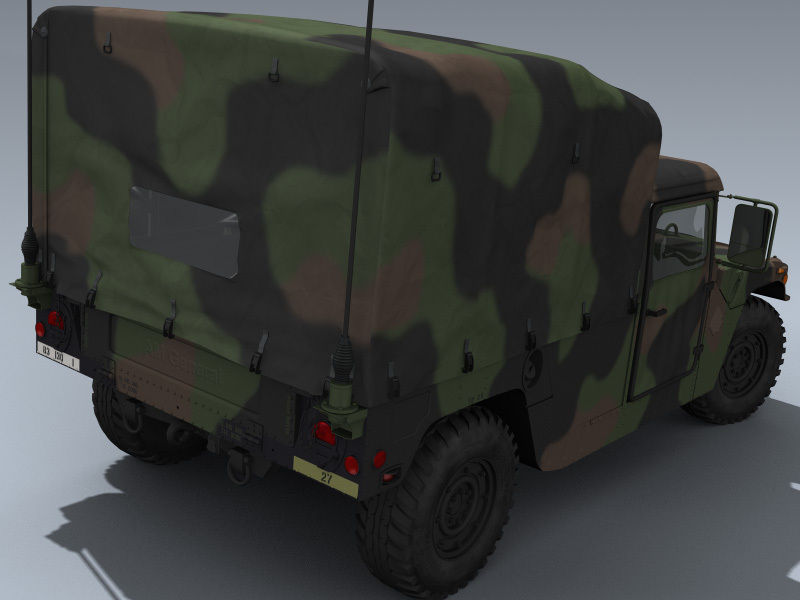 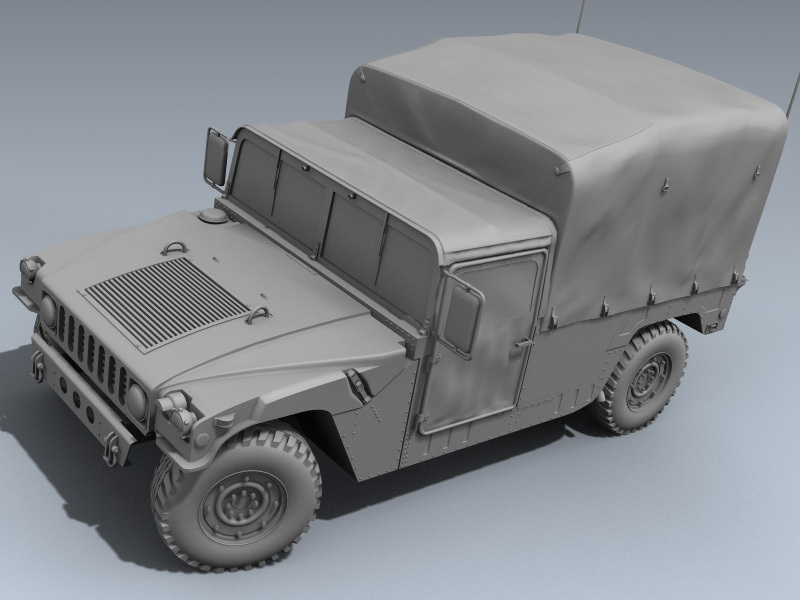 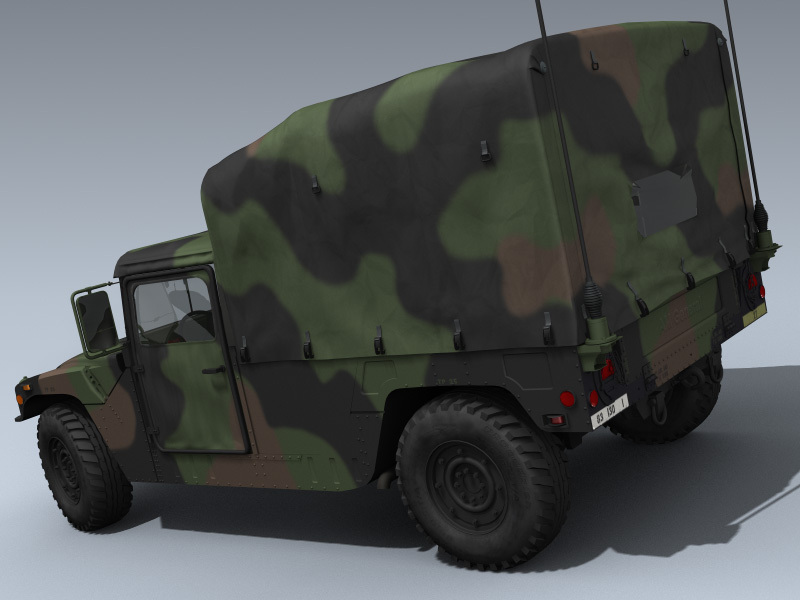 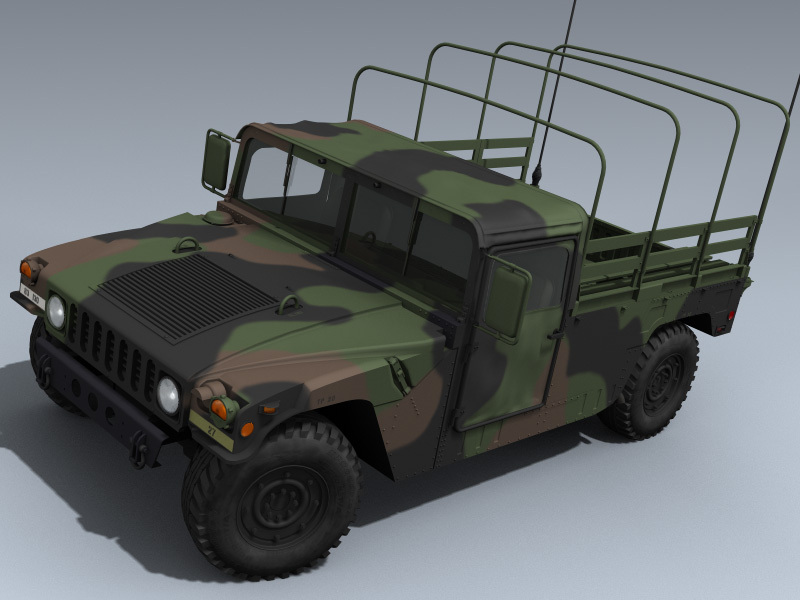 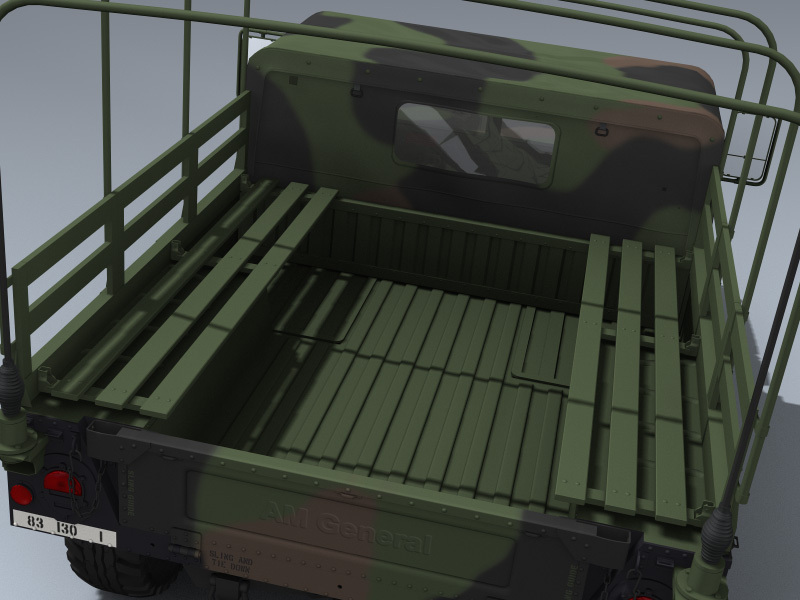 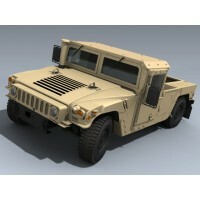 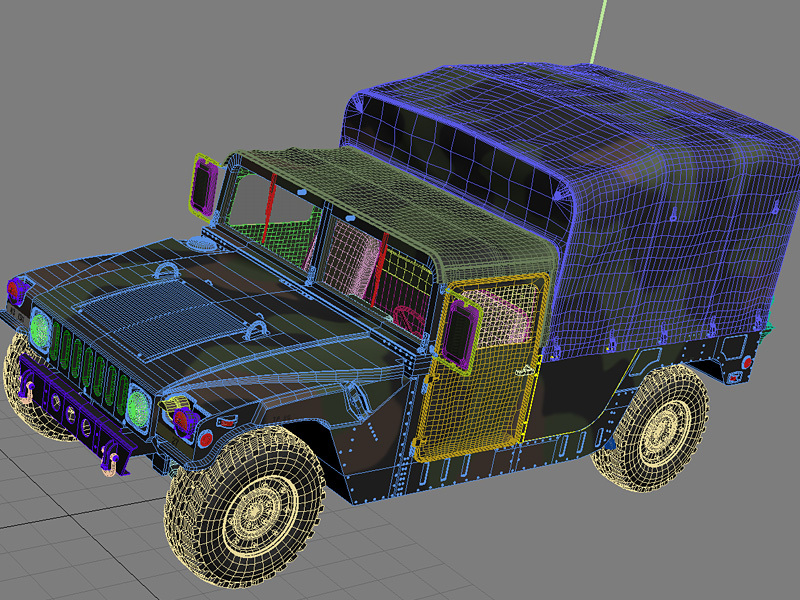 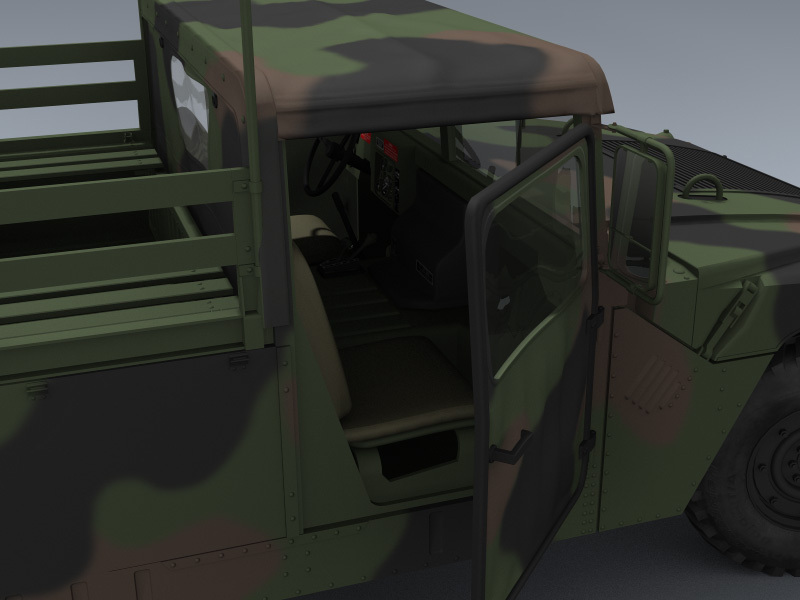 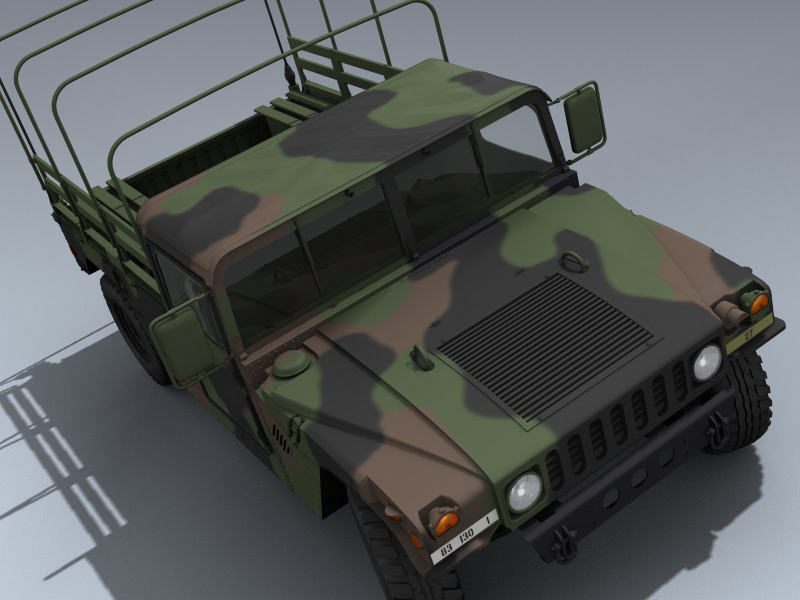 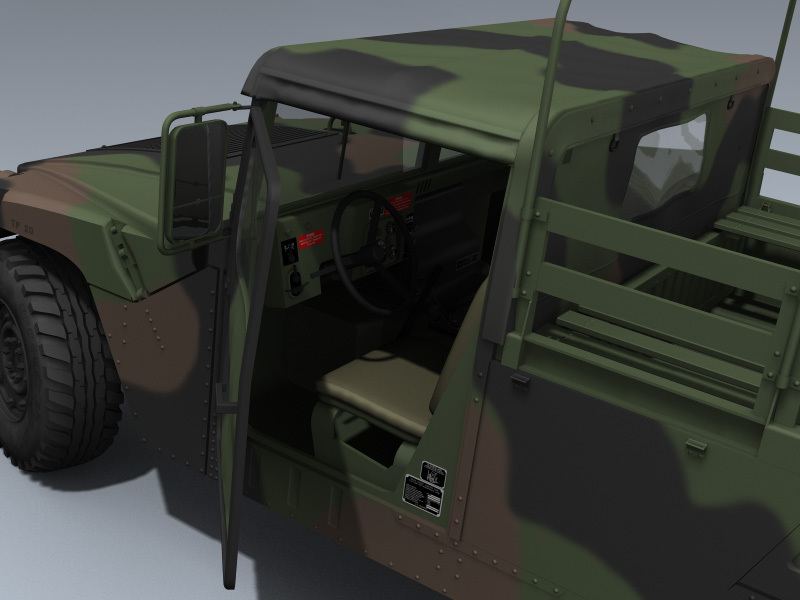 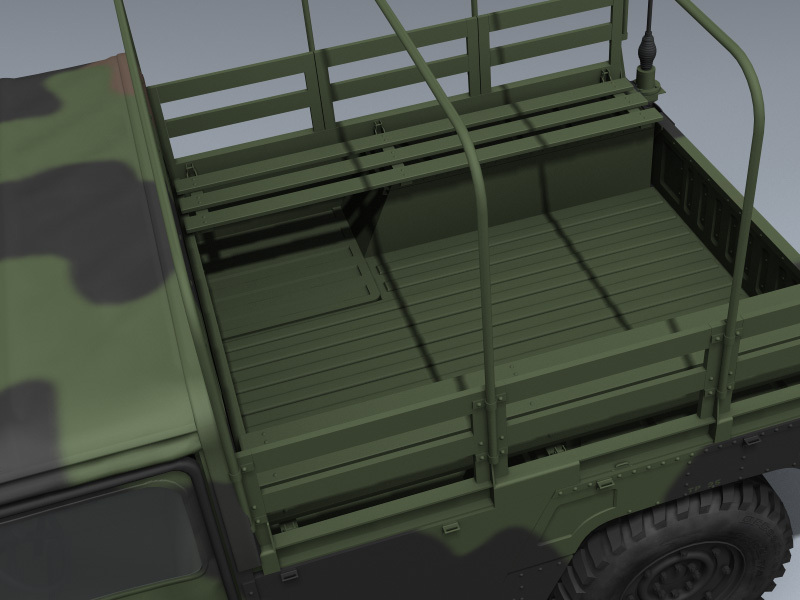 Includes separate tarp cover, frame, troop seats, doors, wheels, suspension and mirrors and separate objects for easy animation. 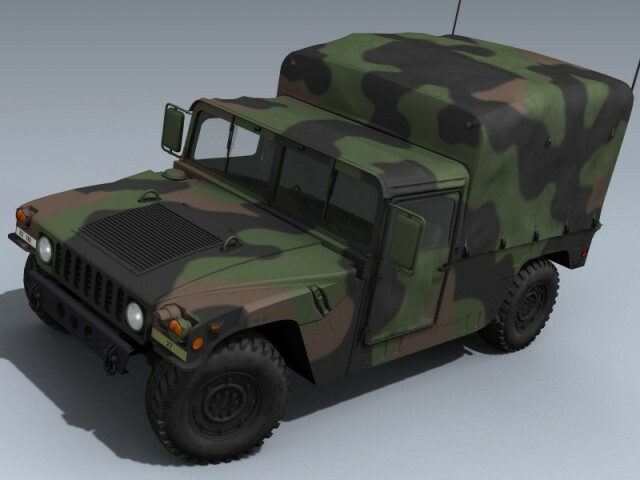 Markings and the paint scheme are historically accurate.